Luxury Fincas & Villas for Sale in Port Verd | Montemar S.L. Port Verd is a real gem on Mallorca. It belongs to the municipality of Son Servera in the Llevant region, as do Port Nou and Cala Bona. In total, the municipality accommodates about 5000 residents in all its individual towns. Located in the east of Mallorca, Port Verd is a pleasant place to live a pleasant life; from here you can explore and conquer the Balearic Island by bike, foot or car. The Puig de sa Font, a hill with great natural scenery, is close by; the former racing bike track is also very conveniently situated, almost runing around the site. Golf enthusiasts will find several opportunities to indulge in their passion. Owning a noble property in the form of a villa or finca is perhaps a dream of many people that has not yet been fulfilled. 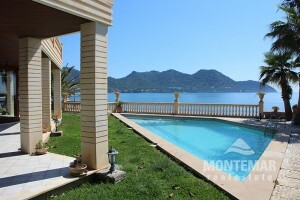 Montemar Real Estate has been at home in Mallorca for many years and knows the real estate industry inside out. To provide you with exclusive listings - selected according to the highest standards of home ownership abroad - that's what our customers benefit from. We are the linguistic link for every buyer, we know all about the legal aspects of the transfer of ownership and we are happy to support our clientele even further, for example in case of possible alterations after the purchase of their villa or finca in and around Port Verd.